The Scotiabank Rewards card has the best earning rate for people with average to good credit in the marketplace for many people who put most of their everyday spending on their credit card. It has great earning rates, especially when your able to put everyday purchases on this card. Someone who shops at Safeway frequently and uses a Credit Card for gas purchases would benefit greatly from this card. The Scotiabank Rewards card is our favorite card in the Canadian credit card marketplace for consumers with fair to good credit. When it came out, we noticed it gave by far the best benefits of any card in its class. The main strength of this card is its high earning ability and the ability to book rewards like hotels or business class and regular economy flights at a discount through them. We think this is the best card for most people who are responsible with their credit (don’t carry a balance) and put more than $500 of everyday type purchases (gas, grocery, restaurant) on their card each month. 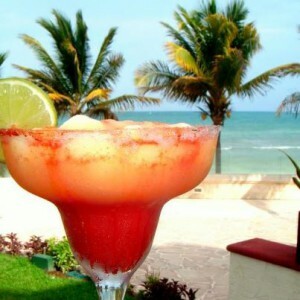 Before you know it, you could end up with a free beach & margarita vacation! Click here to apply. Click the credit card image below to Apply!